2019 will be the year of showing the world how powerful games can be in your working environment. At least that’s my mission for this year. 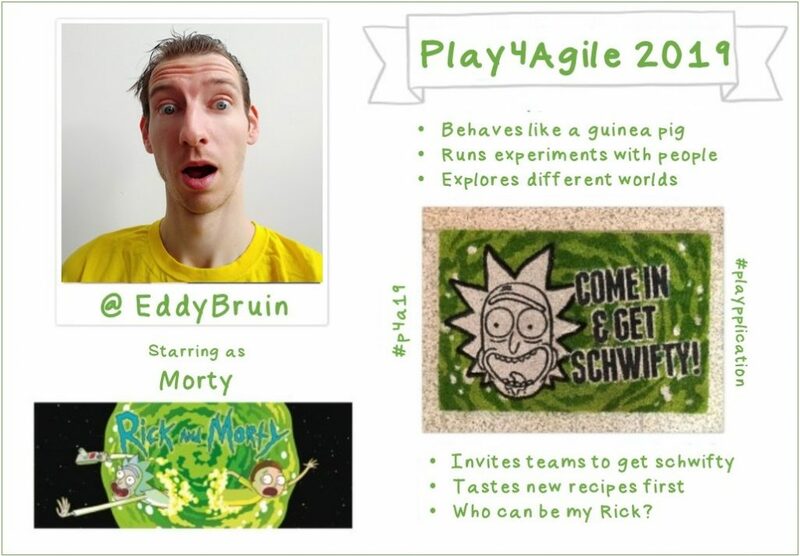 Play4Agile, an unconference on serious gaming, is an important part of this mission. At this unconference new games are invented, crafted, reshaped, experimented with and played in order to make the office a better and more fun place to be in. Abduction (aka Gameception) is one of the games I invented at play4agile. So I hope I can be back and help with more experiments. In order to get in, a Playpplication needs to be made and shows what kind of people will attend this wonderful event. This is mine! Well actually it’s Jordann’s, but he was looking for a Morty. And he found me! The question is. Will he be a Rick for me? ← Datatype positioning heuristic – a bug story.